We are committed to provide our customers with holistic and responsible hair care. Our goal is to research and find products that do not contain hi-doses of harsh chemical ingredients, hair care, colour and styling products where chemicals are replaced with gentler and more natural based "Clean Hair Products" that are safer and gentler on the hair, skin and hands, as well as the environment, but without compromising the longevity of the end result. 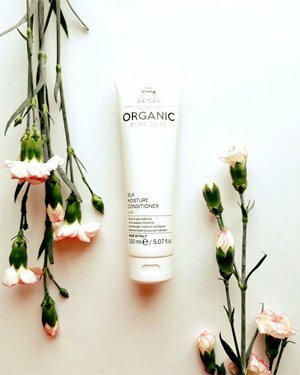 A range of unique hair beauty products, shampoos and conditioners, styling aids, and treatment products with balanced natural and organic formulas based on precious plant extracts. OPC Wellness Line has a solution to every hair and scalp problem. The Blends contain essential oils which, detoxify the skin by removing external polluting agents, balance the hydrolipid film, increase the natural production of keratin, and stimulate micro-circulation. A set of hair care lines designed for different needs: from shock treatments to those of daily routine. A product for each specific need. Professional treatments with immediate effects and persistent results, visible results from the first use. OPC -C COLOR is a new concept of natural active ingredients, pure essential oils and plant extracts that combine a methodology of reconstruction of the hair in an innovative color service. C COLOR is a new concept of integrated product that combines a methodology of reconstruction of the hair and an innovative color service. C COLOR is the perfect color line for those who wish to color, nourish and restore hair deeply. It is a perfect beauty treatment if you are looking for: a eco-friendly color, a gentle coloring system, that is PPD, resorcinol and ammonia free. VeganOK and Cruelty FREE. Permanent, demi permanent and Semi permanent. Faster, gentler, kinder hair colour - that processes in just 10 minutes! B-spot - O10Plus Advanced Colour System was developed with a priority of reducing skin exposure to chemicals, reducing damaging ingredients and replacing chemicals with natural ingredients wherever possible. Years of research at the B-spot laboratories in Italy has produced a hair colour system like no other. The B-spot research Laboratories make no claim to use organic products - organic is for food, and the soil the food is grown in - not hair colour products. It does claim however to produce a hair colour system, that is plant based, and the few chemicals required are reduced to the lowest levels to produce the best results possible - always with a priority of maintaining the integrity of the hair shaft. This results in a hair colour with long lasting shine, reflect, body and optimum condition. 010Plus formulations are patented, latest generation, pure pigments that act to produce colour- particularly quickly (10 minutes) thus reducing the time the skin is exposed to chemicals. 010Plus colour system is - PLANT BASED, RESORCINOL FREE, PARABEN FREE, SULFATE FREE. Original Mineral Hair colour and Styling Products. We challenge the artificial norms of professional haircare, with formulations that are both effective and gentle. Removing harsh chemicals wherever possible while including natural extracts and active minerals that deliver real benefits. Ammonia Free. L’Abrea Smoothing Keratin System works by penetrating the hair cuticles with the highest quality natural ingredients, like coconut and jojoba oils, improving the strength and condition of the hair, making it more manageable to style. A salon treatment takes 2 ½ - 3 hours and the hair will be ready-to-wear immediately. L’Abrea keratin treatment uses a new unique formula to tame the toughest hair. The natural ingredients increases and improves the condition of the hair unlike other harsh keratin products. 95% natural ingredients to reinforce the internal hair structure. For easy, reaxed, ready to go hair - everyday. Suitable for every hair type and hair colour,, and lasts 4 months or longer. 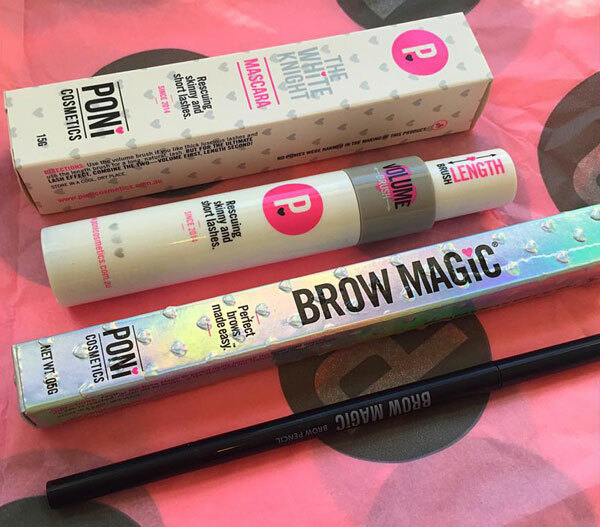 Pure magic for skinny brows and lashes. Waterproof - but washes out with water.